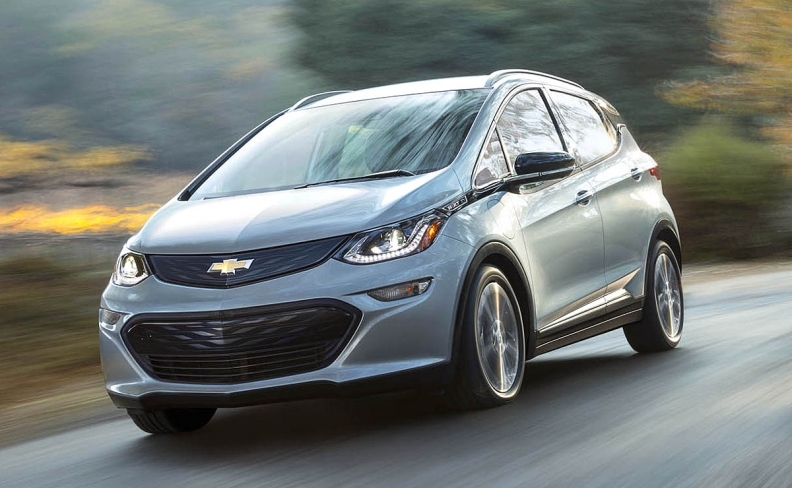 Chevy's Bolt is the first of several non-luxury EVs with a 200-plus-mile range. Ford is expected to show a competitor this week. As far as technology and product development go, 2017 is already over for automakers. The money has been spent and the pipeline is filling with models already queued up. No matter how disruptive, the Trump administration likely won't have much effect on what consumers will be offered this year. Of course, all bets are off for 2018 and beyond. The Chevrolet Bolt, Motor Trend's Car of the Year and a finalist for North American Car of the Year, may be the most watched new car of 2017. The compact hatchback has a 383-kilometre range range on a single charge, which tops some versions of the Tesla Model S. It is the first of several non-luxury battery electric cars with a 320-plus-kilometre range headed to market. Next up is the second generation of the Nissan Leaf, expected to be shown late this year and go on sale in 2018. Sales of the Bolt, which costs $44,395, including destination charges, before tax credits, start in three provinces in January. But the true level of demand may not be apparent until the spring selling season. After all applicable rebates, the price for the base model in Ontario, for example, plunges to $33,034 including destination charges. General Motors will focus on British Columbia, Ontario and Quebec, the only provinces that offer government rebates, during its initial rollout. And in those provinces, only dealerships that are set up to sell GM’s range-extended Chevrolet Volt will be able to also sell the Bolt. Though not a direct competitor to either of Tesla's battery electric vehicles, the Bolt will test Americans' willingness to buy a mass-produced battery-powered car from a mainstream automaker in a time when gasoline is inexpensive. And it won't be the only such vehicle. This week at CES, formerly the Consumer Electronics Show, in Las Vegas, Ford is expected to announce a Bolt competitor. Expect the redesigned Jeep Wrangler to get a huge amount of attention in 2017. Fiat Chrysler's cash cow is getting overhauled from its tires up for the first time in 11 years. This time around, most of the Wrangler's exterior body panels will be made of aluminum to save weight, which should boost the vehicle's poor fuel economy. Aerodynamics will be given attention, but not so much that it alters the vehicle's iconic looks. A diesel engine, along with a beefy turbocharged four-cylinder, is possible. We'll see the new Wrangler this fall before it goes on sale as a 2018 model. Two other SUVs with historic nameplates might also break cover in 2017 -- at least in the form of spy photos and perhaps in early previews. Land Rover's new Defender -- one of the original SUVs along with the Wrangler's ancestor -- is far along in development and is already undergoing testing in England. It's widely expected to join Land Rover's North American lineup in late 2018. Look for it to be powered by Jaguar Land Rover's new Ingenium diesel engine. Ford could also make official the return of the Bronco, which is likely to be based on the body-on-frame Ranger pickup truck and will probably be built in the company's Michigan Assembly Plant in Wayne, Mich., near Detroit. And that certainly won't be all of the action in the exploding world of SUVs and crossovers. GMC is rumored to be working on a Wrangler fighter. A concept version could turn up at the Detroit show next week. Cadillac's Super Cruise is a semiautonomous system with a twist: eye tracking. On the technology front in 2017, keep your eyes on the debut of Cadillac's Super Cruise on the flagship CT6 sedan. 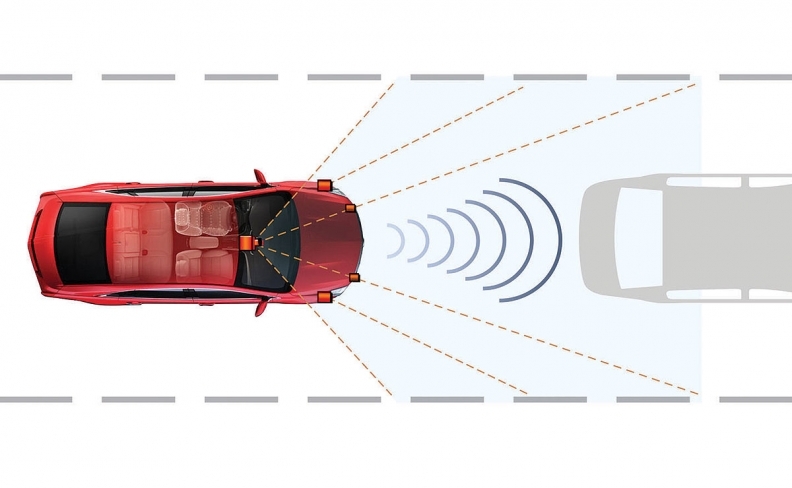 It's a semiautonomous system that enables the car to drive itself on the highway. Super Cruise isn't the first such system. Tesla, Mercedes-Benz, Audi and a few other brands have similar systems. But Super Cruise will add a twist that should enhance safety: an eye tracking system. IHS analyst Jeremy Carlson says eye-tracking will be an important component of monitoring the driver. With the system engaged the eye-tracking system detects when drivers fail to pay attention and will prompt them to remain alert. Here's something else to watch for: augmented reality or AR, says Mark Boyadjis, an IHS analyst who specializes in connected car technology. Imagine a vehicle with head-up display. You'll see the usual speed and traffic sign information. But augmented reality takes that further by projecting objects such as arrows in the road surface showing you where to turn when you have a route plotted in the navigation system. Citing its sources, IHS says augmented reality will debut on a production vehicle in the U.S. in 2017. 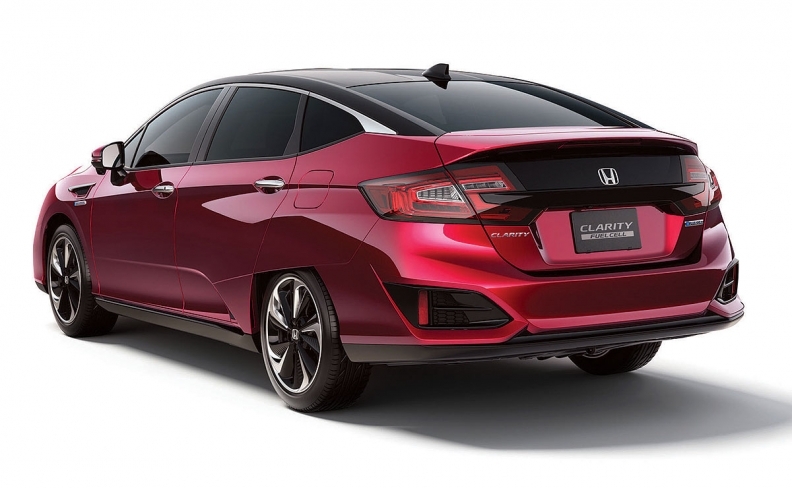 Honda's Clarity stands out in a limited fuel cell world. The year will bring the first electric superchargers, which are powered by 48-volt electric systems. Audi plans to debut the performance-boosting device in several of its SUVs, while Mercedes-Benz plans to launch 48-volt systems to power hybrid models. Expect GM and Honda to reveal more of their plans for fuel cell vehicles in 2017. The GM-Honda fuel cell partnership will have the next-generation fuel cell powertrain ready for production in the 2020 model year with costs that rival an internal combustion engine. Doubtless, 2017 will be a record year for sales of hydrogen-powered fuel cell-powered vehicles. California's network of 30 hydrogen fuel filling stations is up and running, and three automakers -- Hyundai, Toyota and Honda -- all have vehicles for sale or lease. Chevrolet's effort to woo VW's abandoned diesel buyers gets under way in the first quarter when the all new 1.6-litre "whisper diesel" becomes optional in the Cruze compact sedan and hatchback. A passenger car with a diesel offering already bucks one trend. The Cruze's availability of a six-speed manual gearbox with that engine bucks another. That same 1.6-litre diesel is also scheduled for the redesigned 2018 Chevrolet Equinox that goes on sale in the summer. But the real technology trend of the new year will be the continued move to "democratize" features such as advanced safety and connectivity, says AutoPacific analyst Dave Sullivan. The stuff that was previously found on luxury and high-performance vehicles is migrating to mainstream cars. A prime example is Toyota's Star Safety System, a suite of six safety systems that Toyota installs on every model, from the bargain basement Yaris to the most expensive Lexus. The system includes traction control, vehicle stability control, antilock brakes, Electronic Brake Force Distribution, brake assist and Smart Stop Technology.